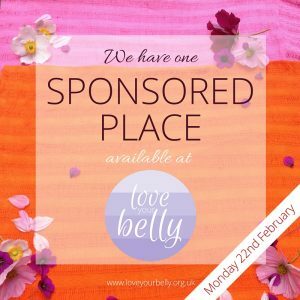 We are offering a free place for one lucky woman at our Love Your Belly workshop in Watford on 22nd February. The winner will learn how to give herself abdominal massage and other techniques, which can improve your monthly cycle. A national newspaper survey of 600 women stated that 10 per cent frequently found it necessary to take to their bed due to period pains. The research also found that four out of 10 claimed the pain affected their concentration at work. And some women questioned said they believed that their period pains had a detrimental effect on their career. There will be a prize draw for the place, which is open to any women of low or no income who emails a few words to explain why she would like to come. We will not be asking women to tell her what their earnings are; women will know whether low or no income will apply to them. “We’re on a mission to help women to love their bellies!” And want to make our work accessible to as many women as possible. Upload attachment (Allowed file types: jpg, png, maximum file size: 100MB.